I don't visit the South of Germany very often, but every time I do I try to make a short visit to Munich too. This time, I am going only to Munich, on the occasion of Internet World Fair and I am more than pleased to discover new things in the city. 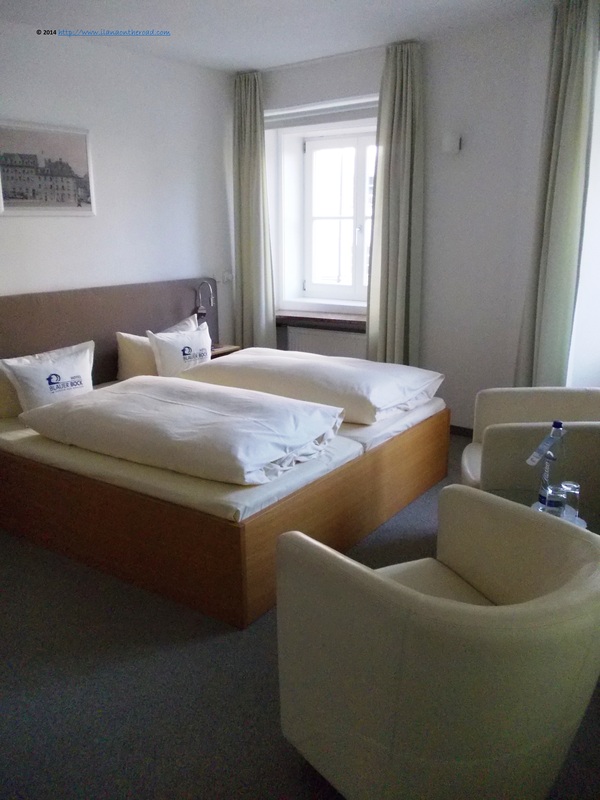 The adventure starts with my stay at the Blauer Bock, that celebrates this year 200 years of tradition in the hosting industry, that offered me a complimentary stay. 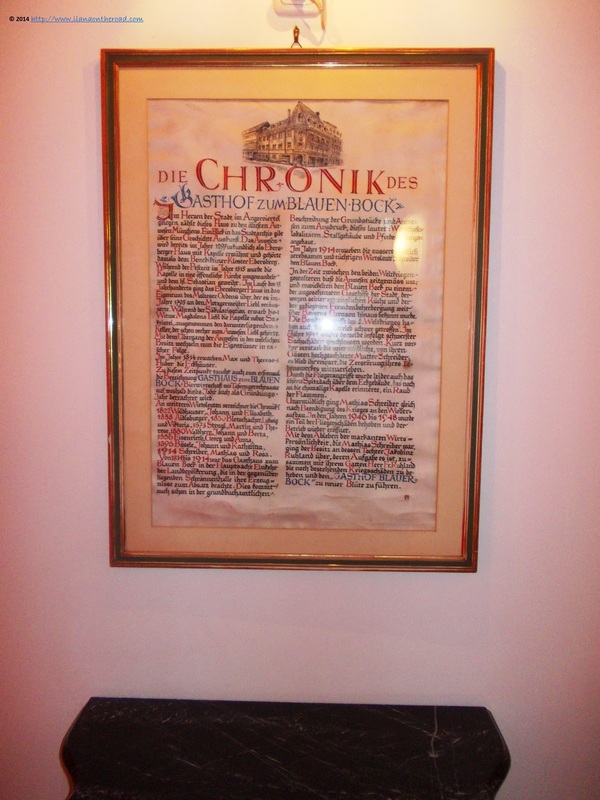 The glorious past of the 400-year old building are discretely reminded to the visitor, through the documents hanging on the walls of the lobby leading to my room. 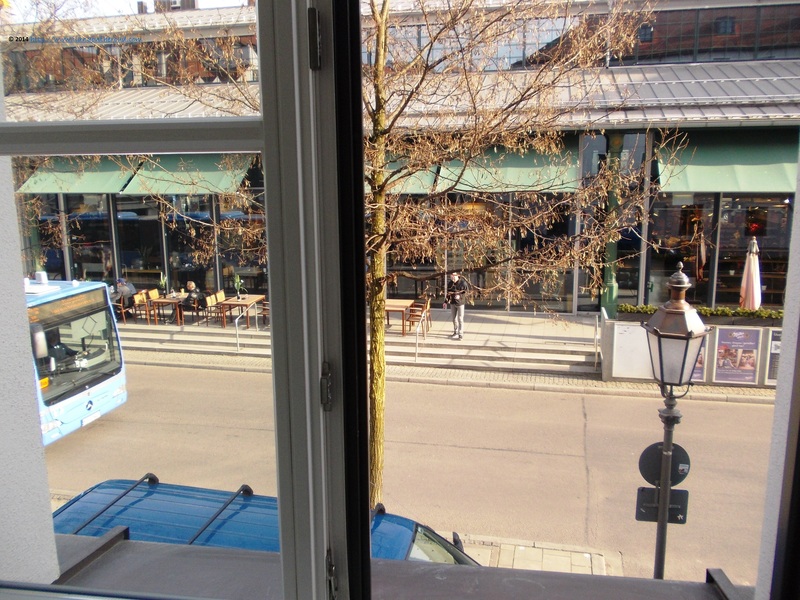 The premium double room I was offered has a view on the Munich foodie paradise, Viktualenmark that I will visit late in the afternoon. The hotel is centrally situated, very close to the new synagogue and around 15 minutes by foot from the historical city hall. The room is simply decorated, in white-beige colours. Although the furniture doesn't include a big desk where I can set my own working space, the beige leather chairs are comfy enough for doing a little bit of work before doing my program in the city. 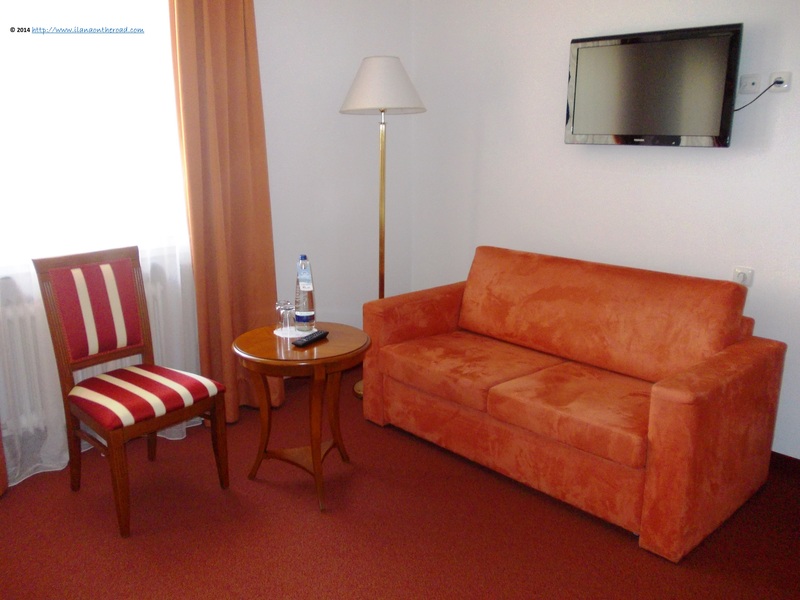 The room is provided with a safe and a closet and a relatively big lobby where bigger luggage can be stored. 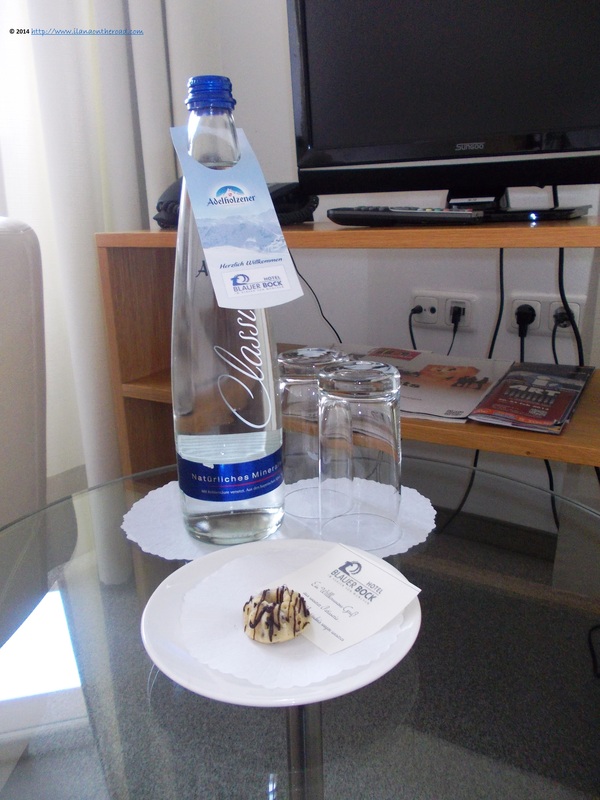 A bottle of Adelholzener mineral water, produced in the Bavarian Alps, and a small 'kugel' cake is waiting for me. The room doesn't have mini bar but various beverages can be purchased from the reception desk. The wifi is free and 2 iPads can be rented for free. The restroom is small, provided with various facilities. You can also buy your own shaving or sewing set at the reception. Black-and-white paintings of iconic corners of Munich inspire the visitor to start the journey through the city as soon as possible. The centrality of the location doesn't bring the usual noise associated with high traffic and after a long day of travel, I can easily sleep a bit later in the morning, at an hour when usually most of the active inhabitants are ready to head for their offices. But I don't hear anything. At the time of my visit, part of the hotel was going through another restoration process that might be ready in the next weeks. The hundred years of history are not always easy to accommodate to the high-standards of hotellerie of the 21st century, but creativity can always bring something new and interesting. 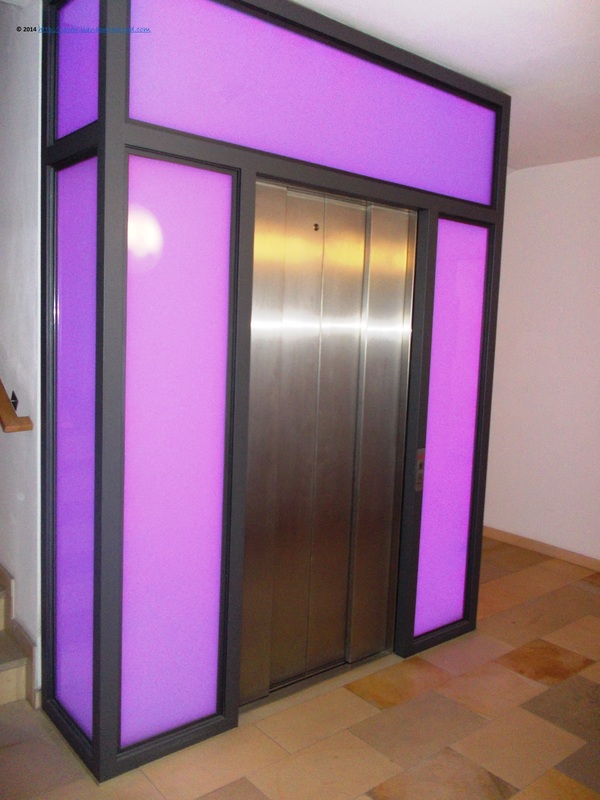 The elevators are by far one of the most modernist part of the building, with neon lights changing regularly. In the evening, I am inviting to taste the gourmet menu, prepared by the famous local chef Hans-Jörg Bachmeier, who also authored many cooking books. The seasonal menu is changed almost every two weeks and very often the chef himself chose the ingredients from the markets nearby. 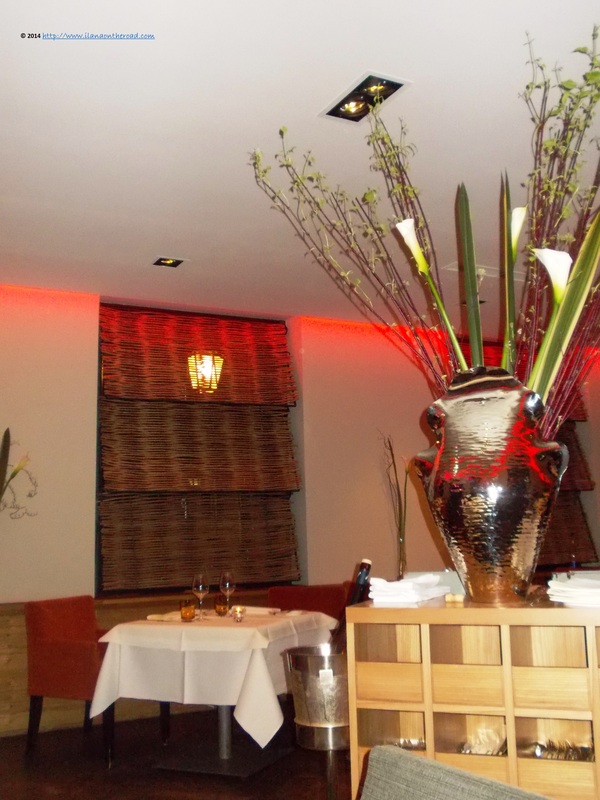 The restaurant is very different from the rest of the hotel, as it has a different style and a very intimate ambiance. The service goes very fast, in English and German. 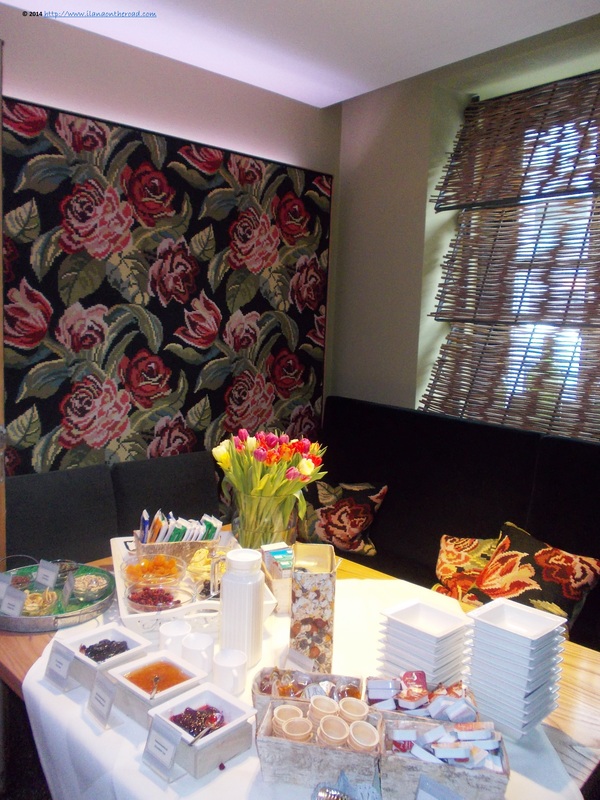 The restaurant has regular customers not only among the hotel residents, but also those working nearby that prefer to have a healthy and special meal during the lunch break. We are in Munich, where people are more careful about style and high-end taste, especially in food. 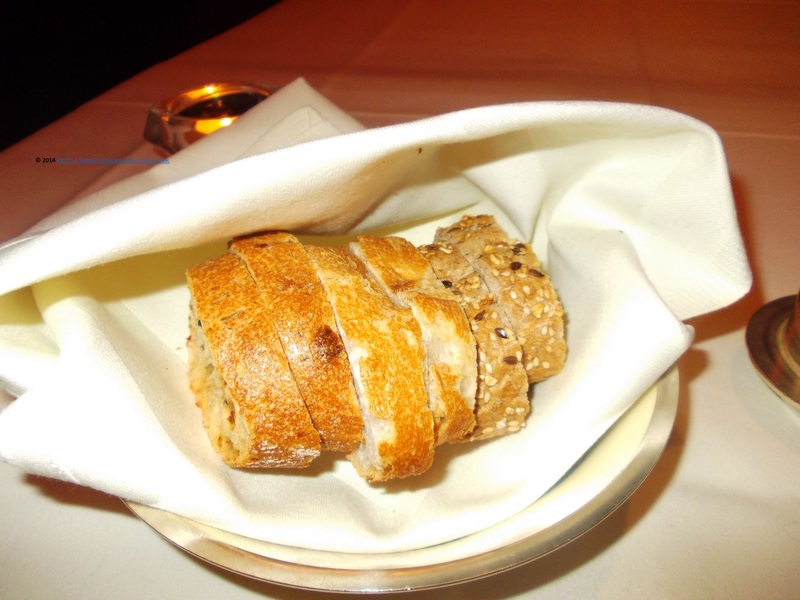 Till my first meal is brought, I am tempted with some local fresh breads with butter, a very delicious and crispy introduction to the rest of the foodie evening. 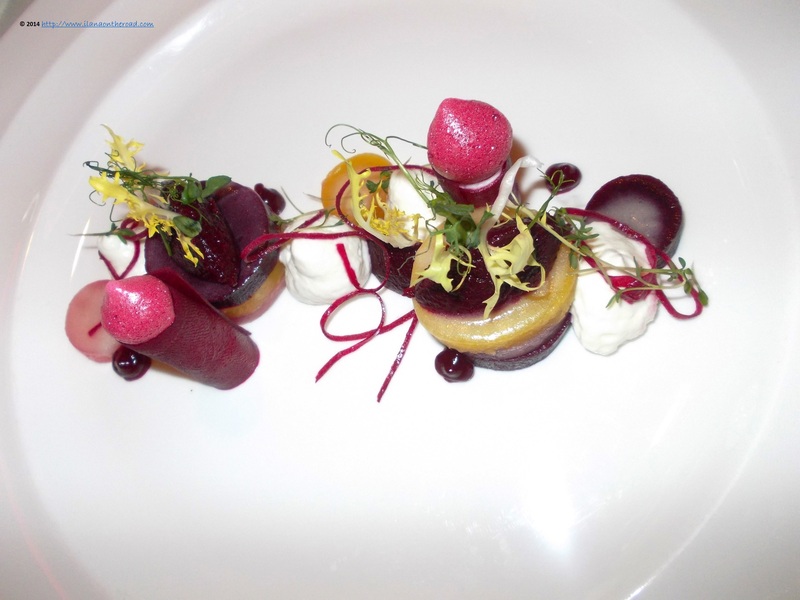 Without acknowledging, I am ready to begin real gourmet adventure, that starts with goat's cheese with various sort of fresh red beets and lemon foam. It is served cold and achieved a mysterious alchemy, when all the individual tastes are melted together to create an unexpected tasty surprise. I wish I can eat only this for the rest of my lunches! But it seems that moderation is the keyword of the menu: you should taste enough for both your hunger and gourmet needs, but no more. 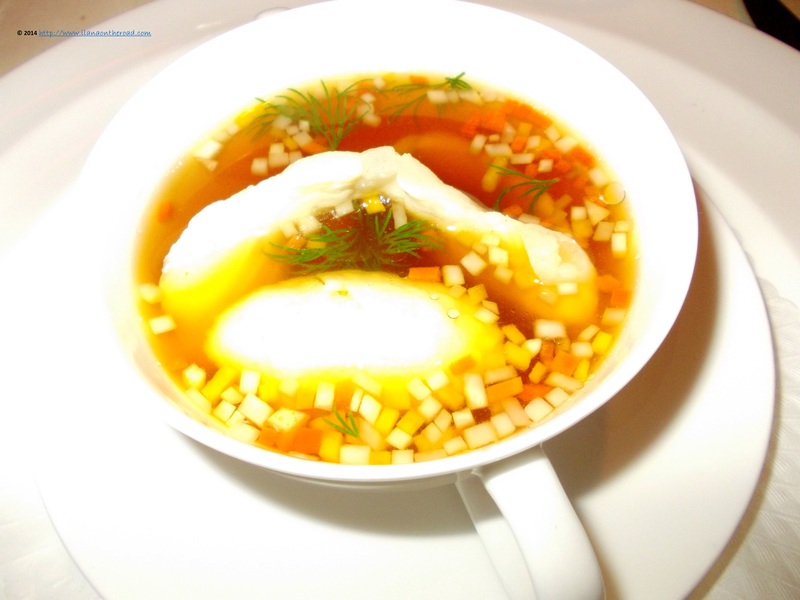 After a short break, a delicious turbot consommé with veggies is brought. It is hot, maybe a bit too salty for my taste, but good enough to make me curious about what will be next. 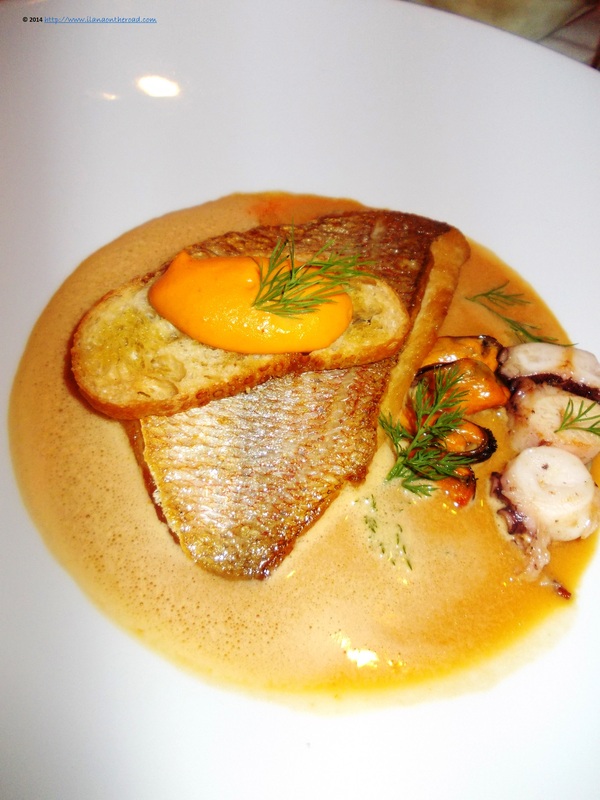 For the main course, I opted for a dorade with sauce bouillabaisse. Every bit is as seasoned as it should be, nothing more nothing less. From time to time, I take a break to scribble my impressions, enjoying the view: modern paintings on the walls, nice and pleasant colours of the furniture and chairs comfy enough to spend some good hours here. Crème brulée was not on my menu for a long time, but it seems that since this January, I am trying to catch up and I am tasting as many recipes as possible. 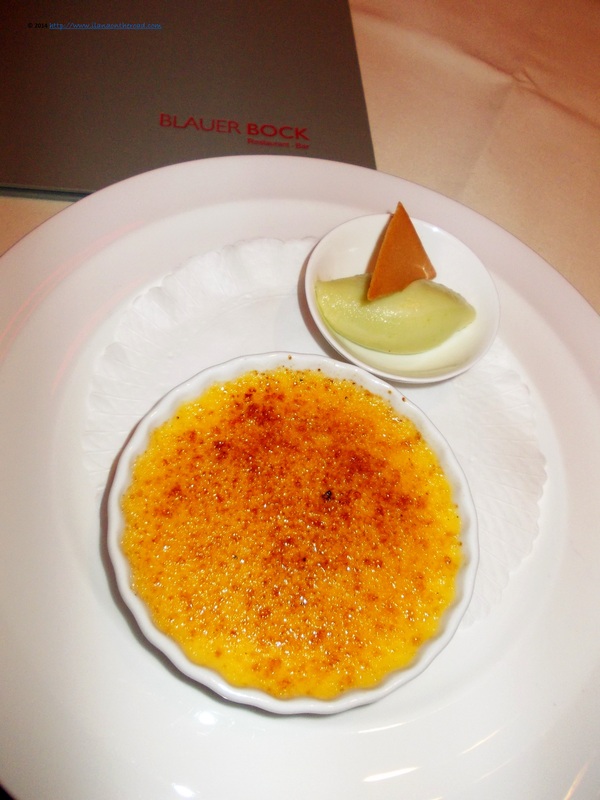 Mine was a relatively unusual combination for me: with apple sorbet that balances the sweetness of the cream. My initial scepticism was battled by the exquisite results I experience. At the end of the menu, I have the good feeling of not feeling hungry any more but not necessarily 'full' either. This is how one should feel after a really good eating. A good night after a lot of walking and work the day before, enjoying the comfy mattresses of my room continued with a special breakfast. Probably one of the best in a long time, as it serves a carefully selected menu: many veggies and fresh fruits, a selection of cheeses, breads and pastries and coffees. The veggies are regional products bought directly from the markets nearby, as in the case of the restaurant menu. While reading the latest news from the local newspapers offered I am ready for my fully schedule. 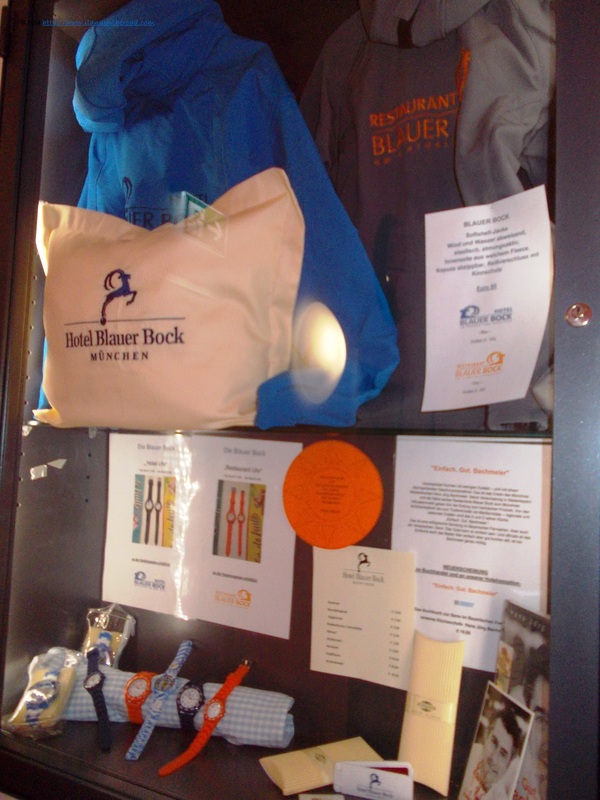 At the hotel reception, there are a lot of branded souvenirs that can be bought, but also some of the cooking books authored by the chef Hans Jörg Bachmeier. Late in the afternoon, I am going to a full tour of the location, learning more about the history and the design concept. The 3-star hotel has 69 rooms of different categories, all of them non-smoking. Most of the rooms suit the requirements of families, and during the summer special family prices are offered. Some of the rooms even allow the children to have their own room. In most cases, pets are also allowed. The summer and the month of October are the usually the busiest one, with most visitors coming from Germany, Austria or Switzerland, but also the US. 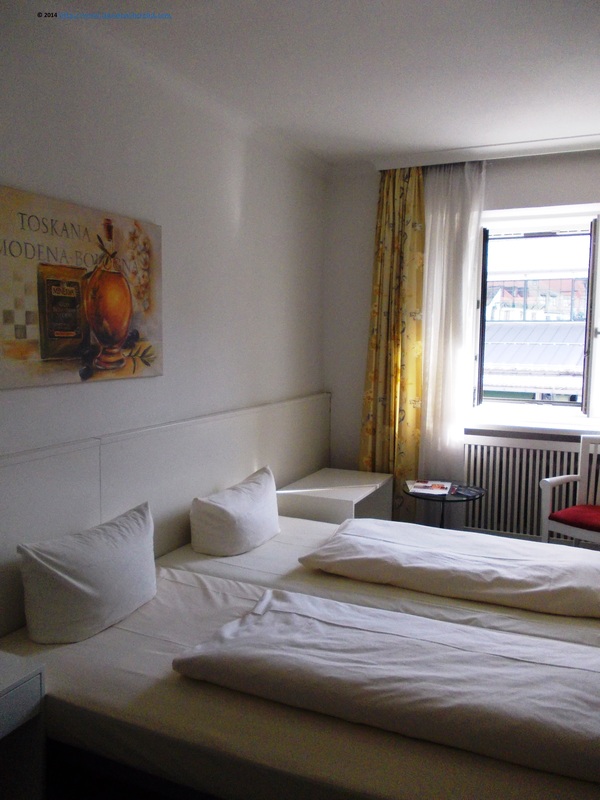 The hotel has 5 rooms with shared shower and restrooms, offered at 57 EUR/night, including breakfast. All rooms have old keys, keeping the flavour of the old inn days. The dimensions of the room vary from 25 to 85 sqm. There are two main design colour choices: the white-beige light and the cherry. The last one is by far, one of my favourite, with the rooms keeping a certain home ambiance. The cherry rooms also have a little gidéon that can be easily used as a working office, and a big closet that can accommodate longer stays. 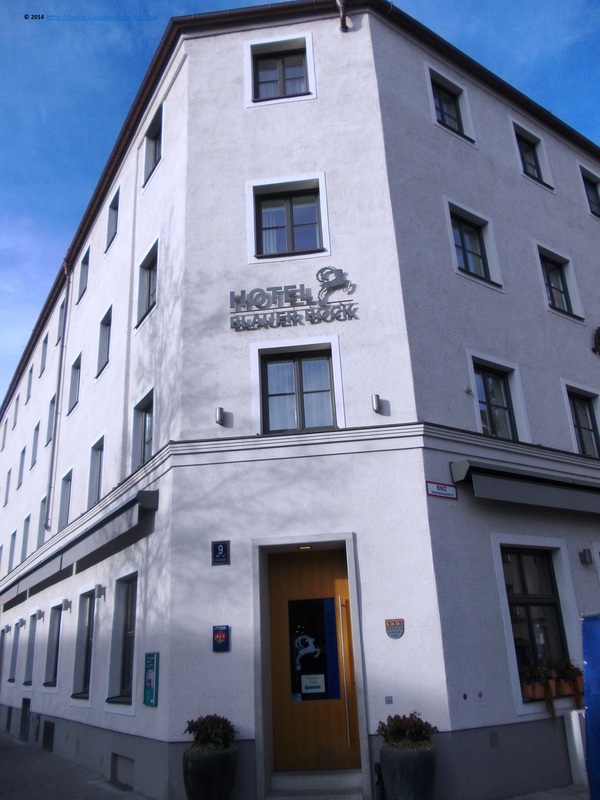 The name of the hotel can be translated in English as 'The blue buck'. In the old times not everyone was able to read, a certain symbol associated with a inn was enough to single out the destination in the local memory of the inhabitants. 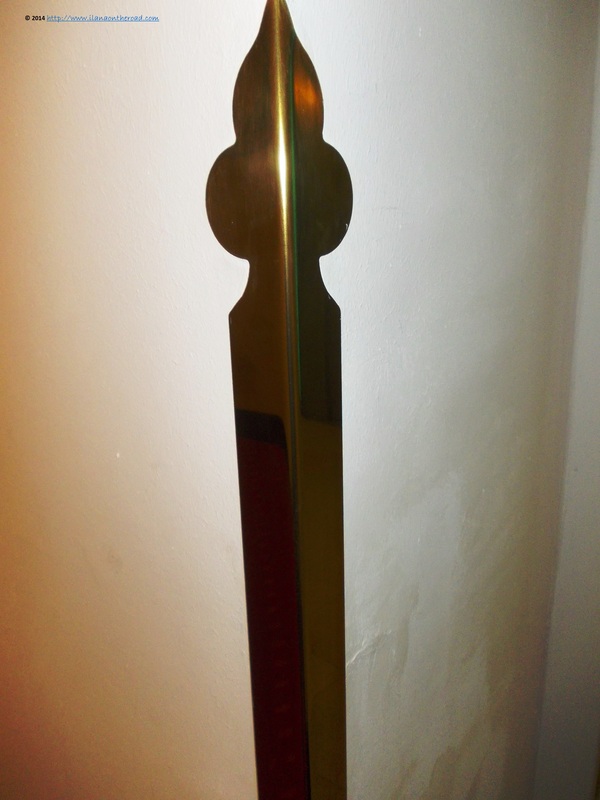 The image of the 'blue bock' still can be found in some rooms and at the entrance reminds the old history. Small details from the old building are still kept and creates a historical branding of the location. 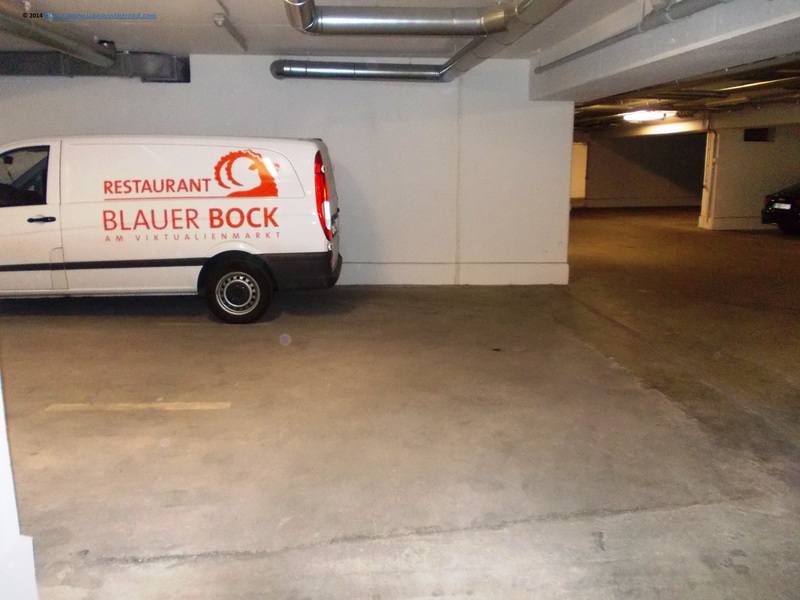 Munich is a very busy city and is not easy to find a good parking place, especially if you are visiting. The hotel offers 17 parking places to the guests. For those 'eco' oriented, bikes are available for 9 Eur/day. 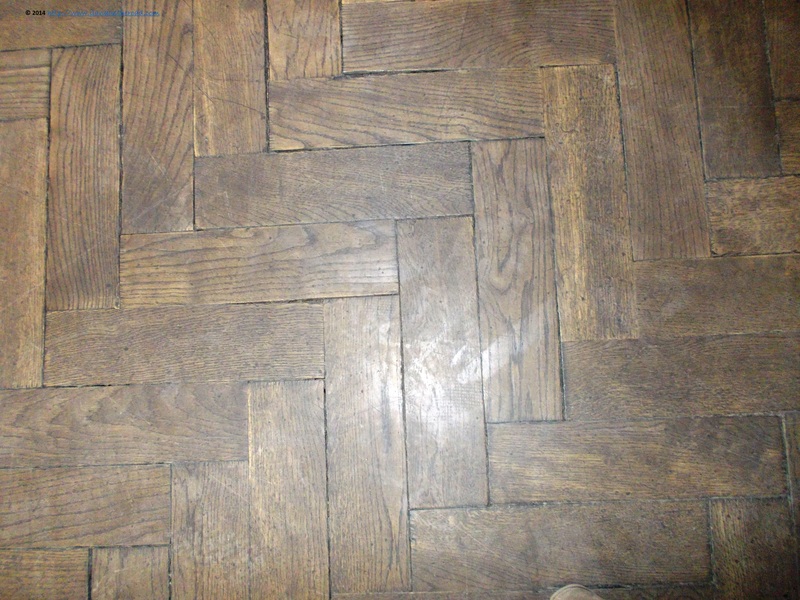 Another historical detail of the location: the old parquet in the lobby, well preserved. At the reception, most of the furniture and decorations are from the old times. 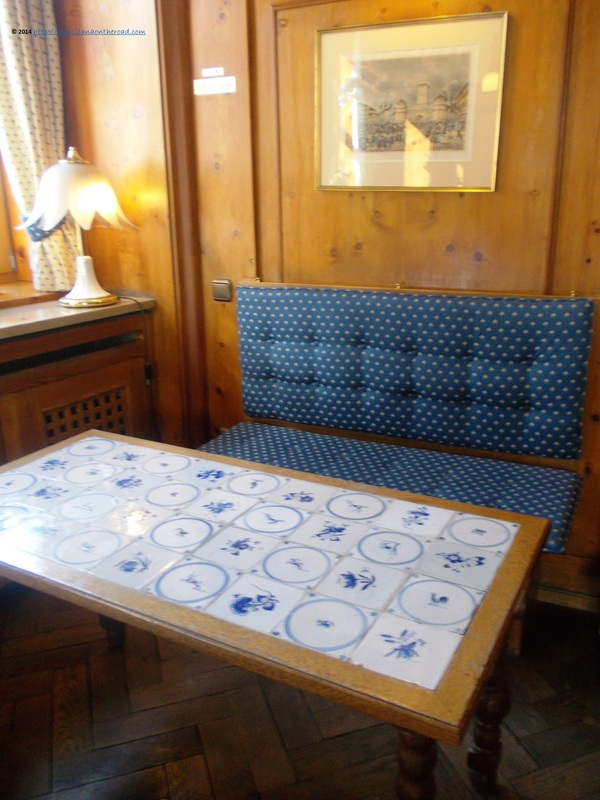 This table, for instance, has the white-and-blue specific colours of Bavaria. 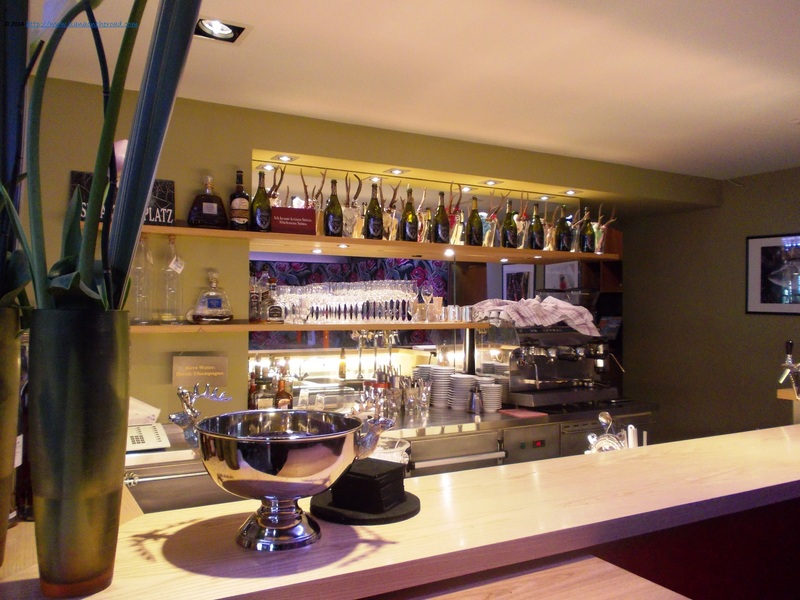 For the late busy evenings, there is also the bar, with a fine selection of wines and cocktails. As I am ready to leave for returning to Berlin, I am happy to be offered a new and interesting side of Munich, and some local history and a good meal contributed significantly to this new experience. Maybe it is about time to visit more often this part of Germany. Disclaimer: I was offered a Premium Double room and a gourmet menu on complimentary basis at the hotel, but the opinions are, as usual, my own.